Performance parts for Corvette and Camaro. Over 35 years experience. Quickly access your vehicle's product catalog without any fuss. Road Race Sports Car DOT Radial 15"
Road Race Sports Car DOT Radial 19"
Road Race Sports Car DOT Radial 18"
Road Race Sports Car DOT Radial 17"
Road Race Sports Car DOT Radial 16"
Road Race Sports Car DOT Radial 14"
Road Race Sports Car DOT Radial 13"
Hoosier Pro Street Radial 15"
Hoosier Pro Street Radial 16"
Hoosier Pro Street Radial 17"
Hoosier Race Tire Drag Slick 15"
Hoosier Race Tire Drag Slick 16"
Hoosier Race Tire Drag Slick 14"
Hoosier Race Tire Drag Slick 17"
Hoosier Race Tire Drag Slick 13"
Hoosier Quick Time Pro DOT 14"
Hoosier Quick Time Pro DOT 15"
Hoosier Quick Time Pro DOT 16"
Hoosier Quick Time DOT 14"
Hoosier Quick Time DOT 15"
Hoosier Tire DOT Drag Radial 15"
Hoosier Tire DOT Drag Radial 16"
Hoosier Tire DOT Drag Radial 17"
Hoosier Tire DOT Drag Radial 18"
Hoosier Tire Road Racing GT Racing Slicks 17"
Hoosier Tire Road Racing GT Racing Slicks 18"
Hoosier Tire Road Racing GT Racing Slicks 19"
Learn about our company and services, watch racing videos, and read a blog full of the latest LG news. What social media platform do you use most? 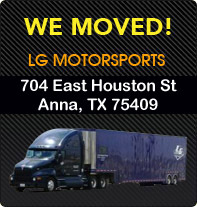 Follow us on Twitter to get breaking news from the race team and shop!